A prolonged slump in the global economy has placed pressure on the diamond industry, forcing sellers to grapple with sliding demand, rising inventories and declining prices. Canada's the Globe and Mail reports that Toronto-based gem company Harry Winston Diamond Corp. recently announced that it would be unable to sell all of its production in the fiscal second quarter which ends this month, and inventories would raise above normal. “The rough diamond market has experienced softened demand since the beginning of the year,” Harry Winston said in a report. The premier diamond jeweller and luxury retailer – with locations in fashion capitals from New York and Beverly Hills to Paris, Beijing and Hong Kong – estimated that market prices have dipped 8 per cent since April. Diamond prices are still struggling to recover since falling off a cliff over a year ago, when the global economic outlook darkened suddenly, spoiling the plans of speculators who had stocked up in anticipation of a stronger economic recovery after the 2008-09 crisis. The unabated European sovereign debt crisis has left demand for luxury goods soft, while wary lenders are passing increased borrowing costs on to diamond cutters, who are heavily dependent upon financing for their rough diamond inventory. Volatility has been an issue for the industry for over a decade, ever since diamond giant De Beers saw its monopoly grip over the industry thwarted by producers in Russia, Canada and Australia, ending more than 80 years of predictable pricing and forcing diamantaires to fend for themselves in a market subject to the whims of supply and demand. 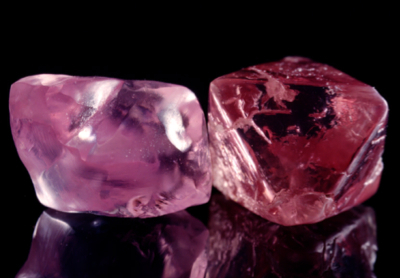 Earlier this week Lucara Diamond Corp., a Toronto-listed company with two mines on the African continent, said it had to withdraw three lots of diamonds – out of a total of 35 – from a sale amid soft bidding for gems described as being of high colour and high quality.